2.1 amp total charging capacity, charges two USB devices simultaneously without adapters. Charge your iPhone, iPad, iPad mini, Android, tablets, and much more without the need of power adapters. Tamper-Resistant receptacles protect unwanted objects from being inserted for child safety. 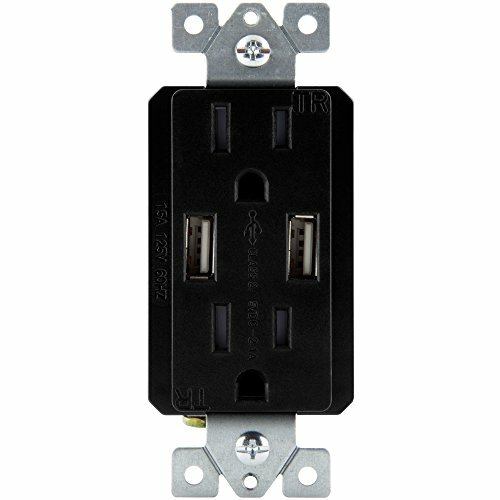 Replaces standard wall outlets using existing wiring. BACK and side wired for easy installation. UL listed. 120VAC, 15a duplex receptacle. Compatible with USB 1.1/2.1/3.0 devices.